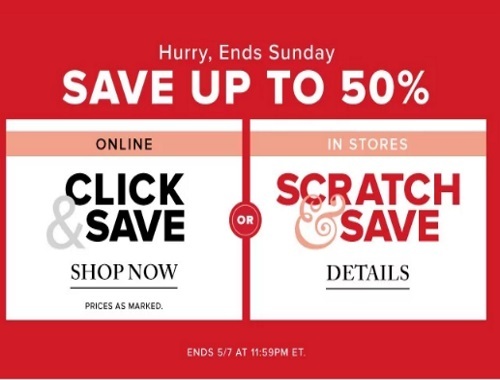 Hudson's Bay has a Click & Save/Scratch & Save this weekend! Save up to 50% off your purchase! Online you can save 50% off fine jewellery, luggage, furniture, mattresses, cookware, pillows and duvets and more! Offers are valid on select styles only. Offer ends 11:59pm ET on Sunday, May 7, 2017.